Home Soccer Is Pep Guardiola the greatest manager ever? Guardiola had 15 playing years in the sport, but he didn’t get onto the pitch as often as he would have liked through injury. That time on the sidelines was a constant reminder to him that soccer players’ careers are short, so they must enjoy as much of them as possible. He grew up playing for Barcelona and had a winning mentality instilled in him from the very beginning, but it wasn’t just about winning. Guardiola learned from the legendary Johan Cruyff that success was as much about style as getting results. Cruyff wanted his teams to play soccer the ‘right way’ which meant lots of passing. Guardiola was a midfielder for Barcelona so learned that keeping hold of the ball is very important. He captained Barcelona and their DNA was forever entwined with his own. During the ‘80s, Barcelona struggled to enjoy the success a club of their size should have been having. They looked to an old hero to get things going and brought Johan Cruyff in as manager. Cruyff was a legend at Barcelona during his playing days and had begun a successful coaching career with his hometown club, Ajax. Barcelona needed an identity, which Cruyff gave them. He became the manager in 1988, and three years later, had perfectly coached Barcelona his method of playing soccer by dominating possession. This approach won the league four seasons in a row, and Pep Guardiola was instrumental in their midfield. This was his first exposure to the Dutch idea of ‘total football’ which he made his own teams play when he became their manager. 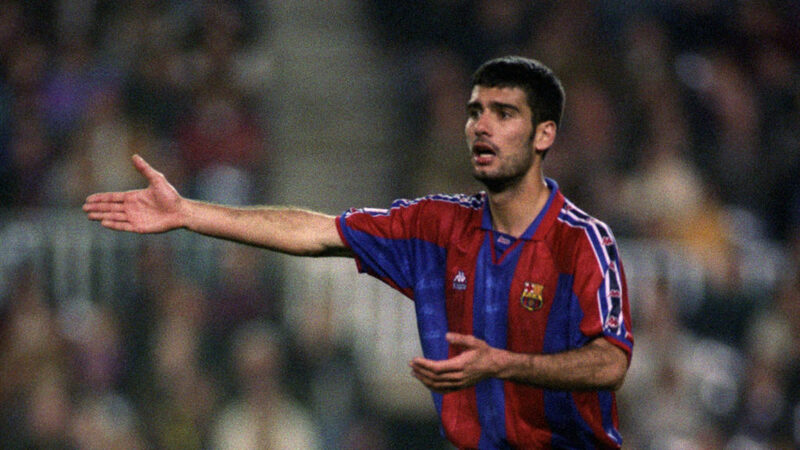 Guardiola left Barcelona as a player in 2001 before finally retiring in 2006. In 2007 he was back in his own country, eager to imposes his philosophy of playing onto a team. He was given the opportunity to coach Barcelona B and after just one season had impressed everyone at the club so much they gave him control of the first team. This proved to be a masterstroke by Barcelona as they ushered in one of their most successful periods since Cruyff took over. In his four years as Barcelona coach, Guardiola won La Liga three times and the Champions League twice. They had a style that was very easy on the eye. Guardiola took inspiration from Johan Cruyff, who said, “Quality without results is pointless. Results without quality is boring.” Barcelona were once again exciting to watch. Guardiola left Barcelona despite his continued success, and after a brief sabbatical, took charge of German giants Bayern Munich. He did not change his style and gave everyone a chance before selling the players he didn’t think suited him. With a core group of players who bought into his style, Bayern won the Bundesliga in each of the three seasons Guardiola spent with them. What Bayern really wanted from Guardiola was a Champions League victory, but each season they were knocked out in the semifinals. It was a case of close but not close enough for Guardiola during his time in Germany. His playing style had proven to work when it came to winning a league title, but could it guarantee European success? 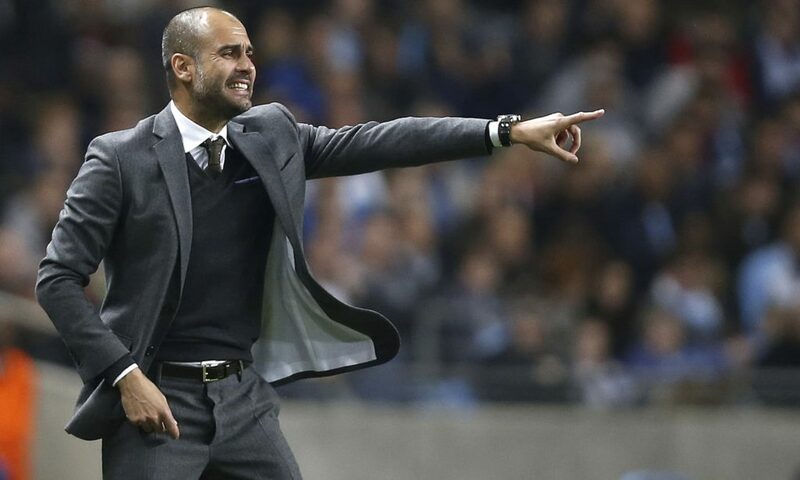 When Guardiola left the Bundesliga, he was widely rumored to be heading to the Premier League. Manchester City did everything in their power to get him. 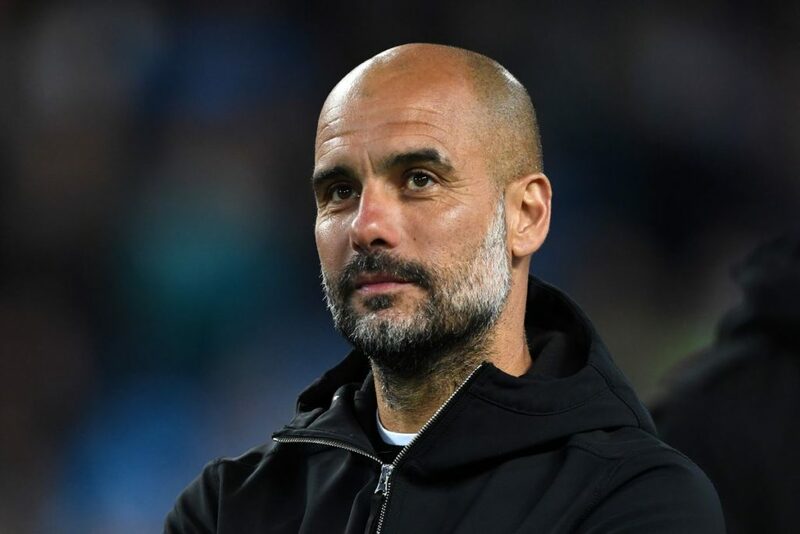 He came in and finished a disappointing third in his first season, but the following season anyone doubting Guardiola’s talents were left speechless. The 2017-18 Premier League season was dominated by one team as Manchester City finished their campaign with 100 points, a first for any team in the competition. Once again he struggled in the Champions League, and City failed to lift the famous cup in his first two seasons. Guardiola has proven that his style brings success, but is he the greatest ever? His great rival Jose Mourinho would like to point to his similar record but with teams filled with fewer stars. Then there is the great Carlo Ancelotti and Bob Paisley who won three Champions Leagues during their managerial careers. Some believe Guardiola hasn’t stayed long enough at one club to deliver continued success like Alex Ferguson, who built multiple dominant teams with Manchester United. Others argue that Guardiola is only so good because the players he has at his disposal are typically miles better than at other teams. For instance, his Manchester City team is one of the most expensive ever built, and at Barcelona, he had Lionel Messi to bail him out. His record speaks for itself, and Guardiola must be considered one of the greats, but critics will say he needs to win more in European soccer to be considered the best. The manager is yet to hit 50, so he has plenty of time left to make sure his resume reads better than anyone else’s. The post Is Pep Guardiola the greatest manager ever? appeared first on Sports Retriever.